You can find Anniken here and here on Ravelry. Her blog is here. Everywhere. I love watching knitwear that people wear out and about. I’ve been known to follow someone walking down the street to get a closer look at their sweater. I’m also inspired by nature, by magazines, by stitch dictionaries. Sometimes the yarn I’m working with inspires a specific design too. I like using various techniques but lace is definitely my favourite. The only technique I won’t use is intarsia which I really don’t like. As a teenager/early 20s I knitted several traditional Norwegian ‘fair isle’ sweaters and I love the look of fair isle but I don’t enjoy knitting it quite so much. I’m getting increasingly interested in cables and over the last year I’ve re-discovered garter stitch. 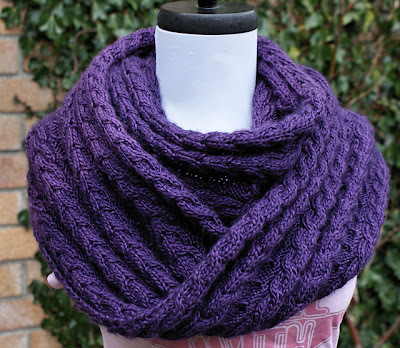 Garter stitch is quite often seen as basic and boring but I really like the look of it. Most of my garments I design for magazines so I need to provide the sizes the magazines want. Most magazines now want as big a size range as possible which I’m happy to provide although I don’t think all designs necessarily suit all the size ranges requested. I love looking through knitting magazines and read blogs so I definitely look at other designers work. I don’t see anything wrong in being influenced by other designers’ work although I would never copy anyone but sometimes you see a stitch pattern or technique you may want to use or sometimes seeing a design may spark an idea for a design that looks nothing like the original. I’m not sure. I assume that knitters have certain basic skills when they choose to knit a pattern but that’s not always the case. I try to make my patterns as clear and easy to follow as possible. There’s a lot of online resources available these days so my advice to knitters who come across something they’re not sure about is to search online to see if they can find the answer quickly. At the moment I’ve got 3 knitters working for me regularly. I do as much of the knitting as I can myself but when I have several deadlines at the same time I need help. My knitters are fantastic and work very hard. 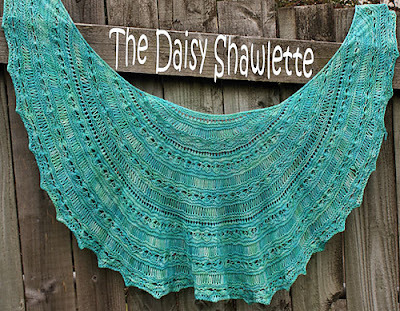 Being a sample knitter is not easy and not everyone can do it. They get the pattern, quite often half written (and it hasn’t been tech edited yet) and without photos of the finished item, so sample knitters need to be able to read between the lines, pick out mistakes, ask questions if they’re unsure of something. I prefer being asked too many questions than not enough. I couldn’t do what I do without my knitters. They’re fantastic. No I didn’t. I started designing because I didn’t like knitting from patterns. I’d just started a blog and showed off my designs on my blog and readers asked for patterns so I wrote them up. After a while I started approaching magazines. In the beginning I designed mainly socks and lace shawls but after having a few designs published I felt that I had to design garments to be taken seriously. Most of my magazine designs are garments and my self-published designs are mainly lace shawls and accessories. I’m starting to think I probably ought to do a business plan. No I didn’t but I have been given advice along the way from designer friends and others in the business. One designer friend in particular introduced me to several editors of British magazines. I think having a mentor is useful when you’re first starting out. It’s difficult to know if the fee you’re being offered is reasonable or which magazines are good to work with and which ones to avoid. Having someone to guide you in those areas would be good. Not really. I started self-publishing then I spent a couple of years mainly designing for magazines. Now I try to do both. 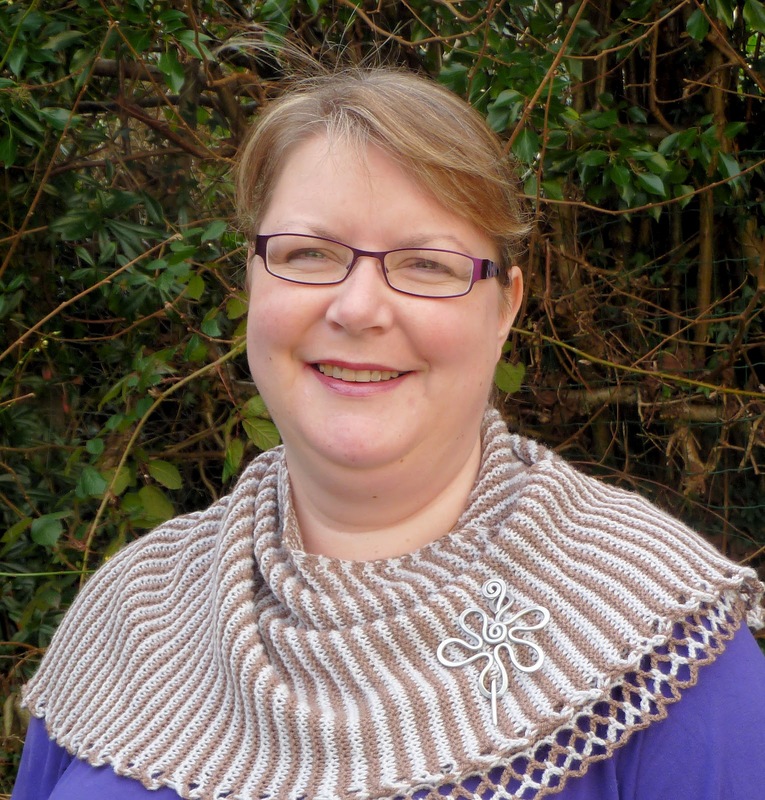 Last year I started selling my patterns through British yarn shops and I’m looking to build on that this year and I’m happy to sell to yarn shops worldwide. I’ve been working through all my patterns to re-do photos, layout etc and I’m slowly getting there but still have several left to do. I’d like to do more self-publishing in the future and I really want to finish my book proposal very soon. It’s been on the back burner for the last 2 years but I’m not getting desperate to do it. I wouldn’t be doing what I do without the Internet. With no formal education in design I’m not sure I would be able to get started without the Internet. Having a few patterns published give editors more confidence when you’re first approaching them. My first pattern was published in an online magazine. When I first started I relied on test knitters and my magazine designs were tech edited by the magazines but over the years I have realised that even if you’re having your patterns test knitted a tech editor is still important. So yes I do use a tech editor. I knit all the time. As long as I enjoy what I’m knitting I don’t mind if it’s weekends or evenings. Working from home means I’m here when my girls get home from school. I try to keep computer work to week days but that doesn’t always work out. This year I’m trying to keep Sundays to non-work knitting so I can knit a bit for myself and my family. So far it’s working fairly well unless I’m close to a deadline. My family and friends are used to me knitting all the time and I don’t think they mind too much. I do most of my work in the lounge (although I do have a work room) and I think all the knitting paraphernalia annoys my family at times. I even knit in church services and church meetings. I choose projects that are fairly easy and don’t require any concentration or chart reading. I can knit easily without looking at it for most of the time and our pastor is quite happy with me knitting in church. I find it helps me to concentrate. I’m fairly thick-skinned and try not to take things too personal. You can’t please everyone and not everyone is going to like what I design. 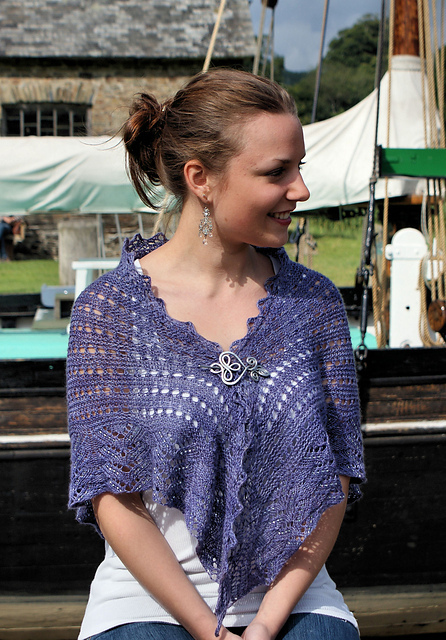 I’ve not had any severe criticism so far and most of the feedback I get from knitters is very positive. I think its more difficult to get designs turned down. There are some magazines which I’ve been submitting to several times and keep getting rejected so I’m thinking about giving up on those. Working on design submissions take a long time and some magazines take months to make a decision and get back to you and that can be frustrating. Once I’ve submitted a design I try to forget about it until I hear back. I’m lucky that my husband works full time so my income is not essential but pay for extras mainly. I had been at home with my children for several years after having to give up my office job after a car accident where I sustained a neck injury, and I wouldn’t be able to work in an office so being able to work from a comfy chair in my lounge is the main advantage for me. I think being able to support yourself from just design income is very difficult and I certainly couldn’t. Teaching is much better rate of pay per hour which is why I want to do more of it in the future. It’s also something I love to do. I also used to self-publish a design and then kind of forget about it. I didn’t put too much effort into promotion. Last year I started to realise that my patterns sales were too low so I made a lot of effort to improve (re-did photography, layout and tech editing) and started promoting my patterns more and sales have been increasing ever since. There’s no point in designing great patterns if knitters don’t know about you. But promotion is difficult and takes a lot of time. Be prepared to work long hours on low pay. Only do it if you love it! If you take into account how long it takes to knit the sample, grade & write up the pattern etc you won’t be making a very good hourly rate. Also, there are a lot of designers now so I think getting noticed and getting published in magazines and books is becoming more difficult.